"a dramatic tone amped up to cartoon pitch"
Here it is, a 17th century tale of fatherly betrayal, dismal suitors, furry dildos and overflowing bedpans, played out in a set of two-tone prom-dress material. Lyricist and playwright Hilary Bell has reworked Molière’s final farce, originally known as The Imaginary Invalid. What was once a comédie-ballet is now transposed into a contemporary, buoyant crowd-pleaser. 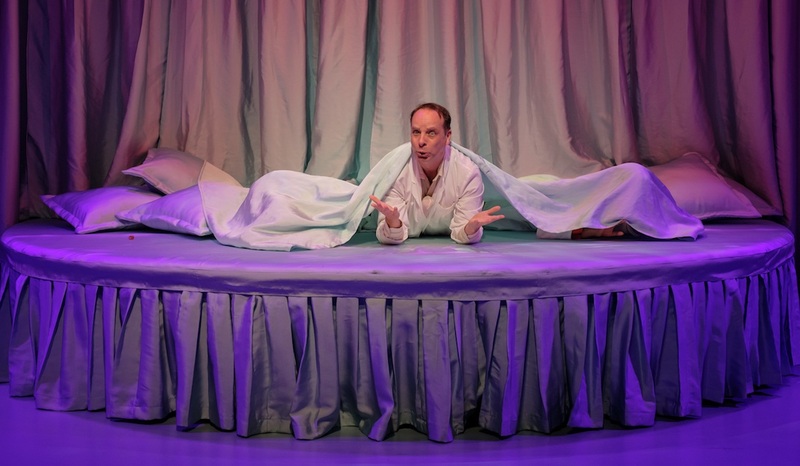 We first see our antagonist/protagonist, eternally red-cheeked, pyjama-ed Argan (Darren Gilshenan), lying at the centre of a plush, giant circular bed. The wealthy miser suffers from shredded nerves and feeble pulse, and has shackled everyone in his life to the task of tending to his delusional ailments. He’s as cheap as he is deranged, sifting through his medical bills and refusing to pay their full balance. His world has shrunk to his sickbed, which is where the play unfolds in its entirety. 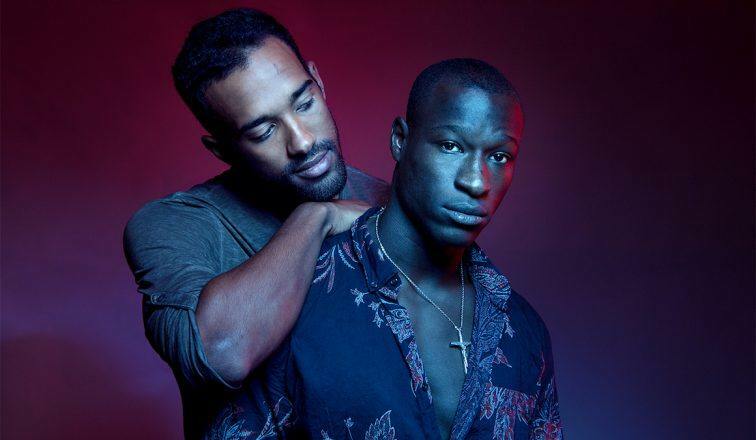 Argan has concocted a terrible plan: to forcibly marry his daughter Angélique (Emma Harvie) to the son of his physician, Dr Diafoirus (Monica Sayers), so that he might have two medical practitioners on hand. Joke’s on him. Diafoirus junior and senior are scammers, happy to stay on Argan’s payroll till his pathetic, inevitable end. Argan’s vile second wife, Bèline (Sophie Gregg), supports the plan insofar as it allows her to collect Argan’s undivided inheritance. But Angélique has just fallen for a bohemian musician, Cléante (Gabriel Fancourt), and intends to fight back. Her ally is long-suffering housekeeper Toinette (Lucia Mastrantone), who is Argan’s foil, tending to him with ceaseless ointments, biopsies, enemas and prescriptions, as she secretly manipulates events to ensure justice for Angélique while dethroning Bèline as the sole inheritor of Argan’s fortune. The Hypochondriac is structured around an eternal theatrical premise, then: two lovers separated by familial cruelty, and a tale of women’s exploitation. Angélique is to be sold like a slave and married at knifepoint to a man who is totally without wit or imagination. Molière’s original’s musical sequences are now interludes satirising sunny pharmaceutical advertisements for a crooked med called PharmaCon. 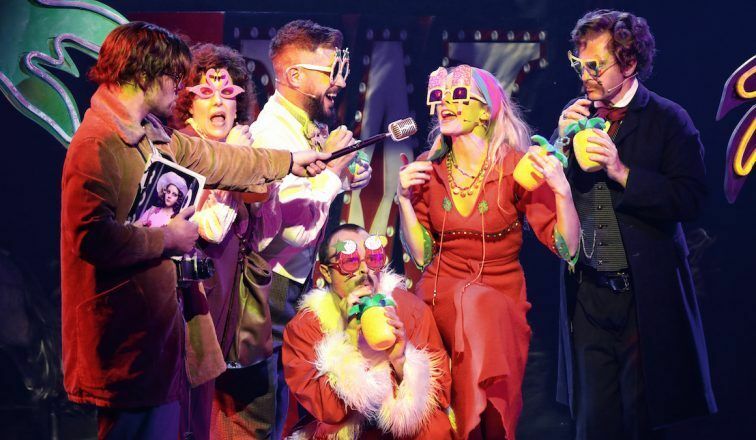 The actors sashay around the satin-draped stage twirling umbrellas and fluffy dildos to jazzy Broadway numbers by Phillip Johnston. 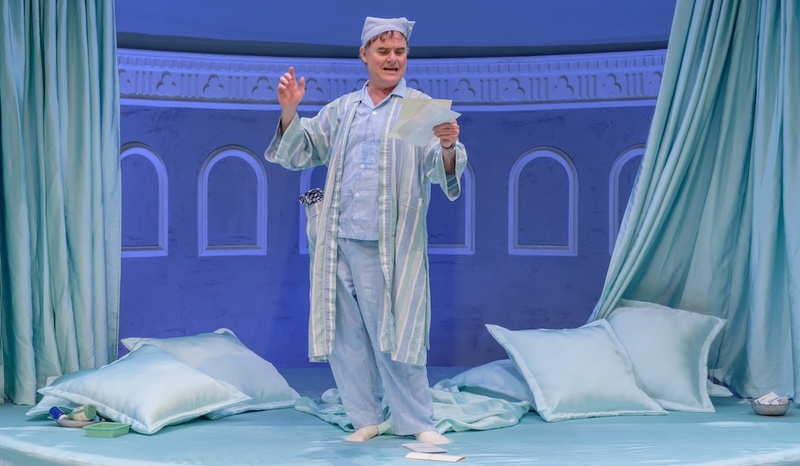 The play’s humour is like this throughout: effervescent and scatological – all overflowing bedpans and urine tests – with occasional chintzy, saxophonous sound effects by Maria Alfonsine, and a dramatic tone amped up to cartoon pitch. The production’s costuming and design details go far: Oxenbould’s Dr Diafoirus Junior is the kind of high-waisted, sweaty, centre-parted creep who wears orthopaedic sandals and socks. Likewise, we know that Argan’s lawyer, Mr de Bonnefoi, is nothing more than a dodgy Troy McClure type the second we see his white chinos. Dead giveaway. There are clever moments, too. 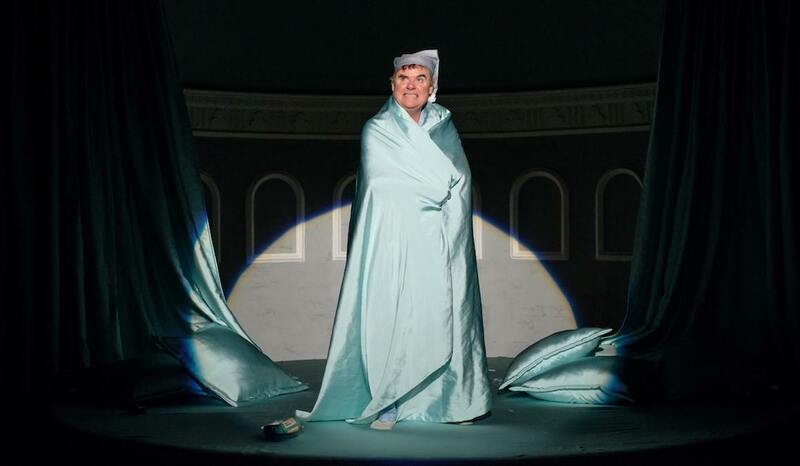 The space beneath Argan’s giant sick/deathbed is used niftily to transform costume changes into self-aware gags and slapstick moments, and the actors use the theatre’s emergency phone, at one point, to fake-call the authorities as the farce spirals out of hand. A deeper question comes into view: what makes a work worthy of adaptation? First presented in 1673, Moliere’s work spoke of petty tyrants and background class critique. Bell has pegged her adaptation around an updated theme of medical over-dependence – pills to wake, pills to sleep. 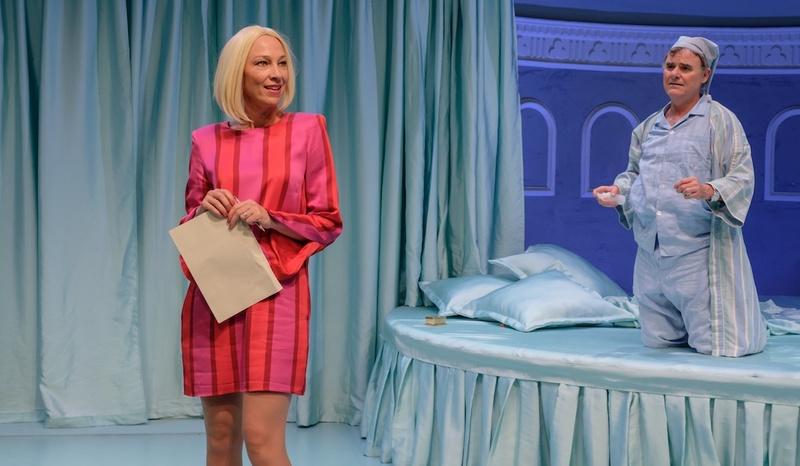 This BigPharma satire doesn’t feel as though it comes from the text or the plot itself, and as such, floats above the play’s surface. 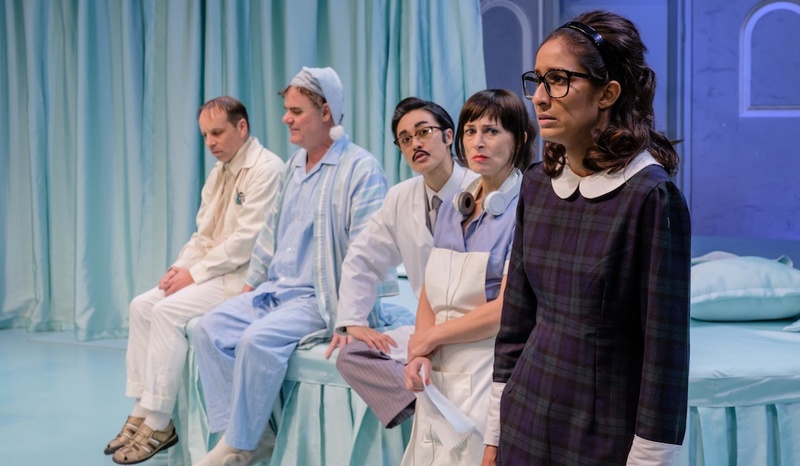 The medical critique feels perfunctory, not just because of how intermittently it is engaged, but because it only stretches so far in the context of this play and these characters. It’s hard to really see a rich neurotic like Argan as a true victim of the pharmaceutical industry, rather than his own self-obsession. 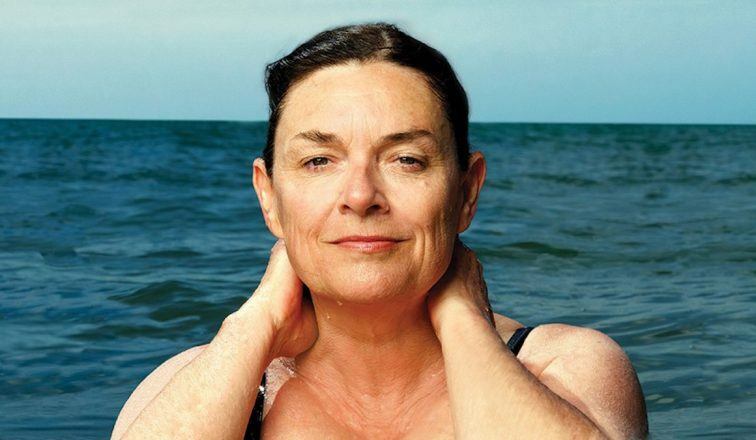 The bigger issue is the play’s gender and sexual politics. Molière’s backward men and trapped women don’t translate easily today, at least not without a sharper critique of the malice suffered by Angelique and Toinette and even Bèline. It’s hard to gel a plotline of a father sacrificing his daughter to an arranged marriage, or else sending her to a convent, with a contemporary setting and it’s been quite some time since a Sydney stage has hosted such a brazenly wicked stepmother character as Bèline. The ‘gold-digger’ archetype is recycled with little renovation. It’s the actors – their conviction as a team, their commitment, their incessantly high energy – that carry The Hypochondriac to its stuttering end. 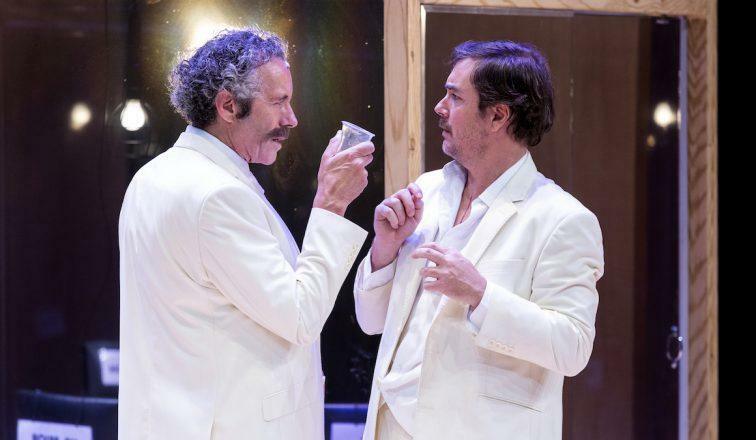 Darren Gilshenan, known to a mainstream audience most recently for his work in Stan’s No Activity and ABC’s The Moodys, is luxuriously relaxed and loose as the ailing patriarchal plutocrat. As Toinette and a sham doctor in the second act, Lucia Mastrantone nails the archetype of an eye-rolling, perennially overlooked woman on whom useless men depend. 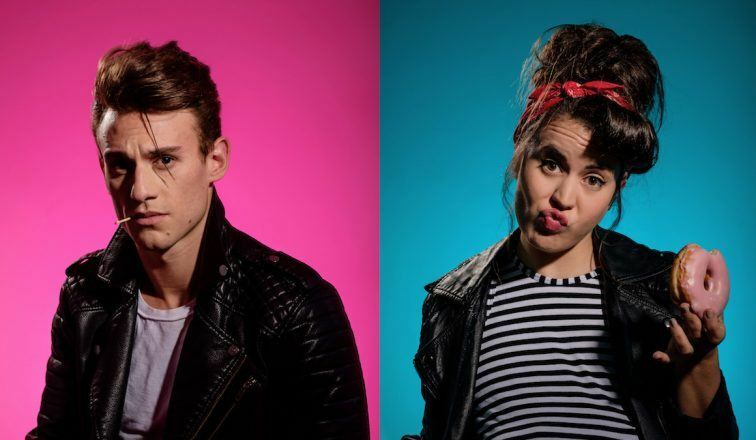 Juggling three roles, Gabriel Fancourt brings effortless charisma and LOLs with skilled slapstick. And Jamie Oxenbould’s psychological acuity portrays Thomas Diafoirus as more than a simple, sulky man-baby: an oversized child whose sense of entitlement to women has warped his development. These are highly skilled stage actors who make their jobs look easy, despite the relentless energy and work required to maintain such a heightened dramatic tone. Together, this dynamic ensemble make mischief, and Molière’s old creation skips and stutters on. Audrey review: First seen at the Hayes Theatre last year, Assassins looks and sounds even better in Playhouse widescreen. Audrey review: It would take an advertising copywriter of uncanny genius to spin this existential crisis comedy as anything other than hard work. 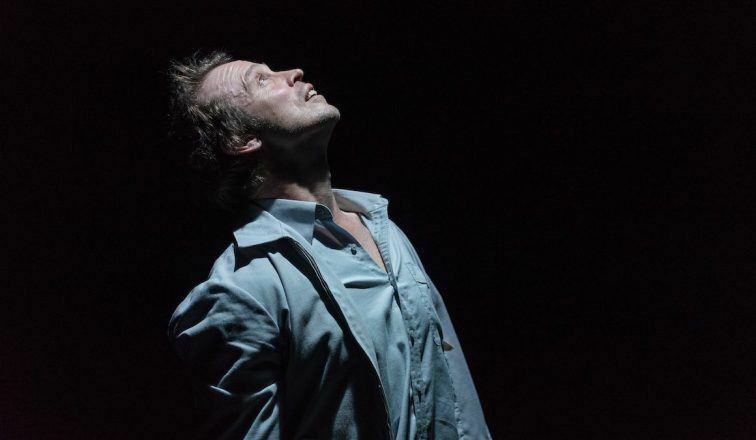 Audrey review: The most sophisticated of the 25A productions we've seen, They Divided the Sky has been made with exceptional care.